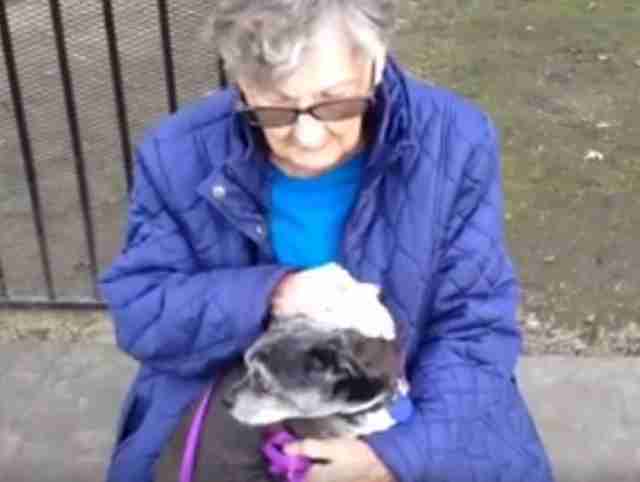 When a 92-year-old woman was forced to give up her dog before moving into a nursing home, it seemed like the saddest parting for these two old friends. The woman, who would undergo an operation before moving into the facility, had to bid a bittersweet farewell to her most stalwart companion. 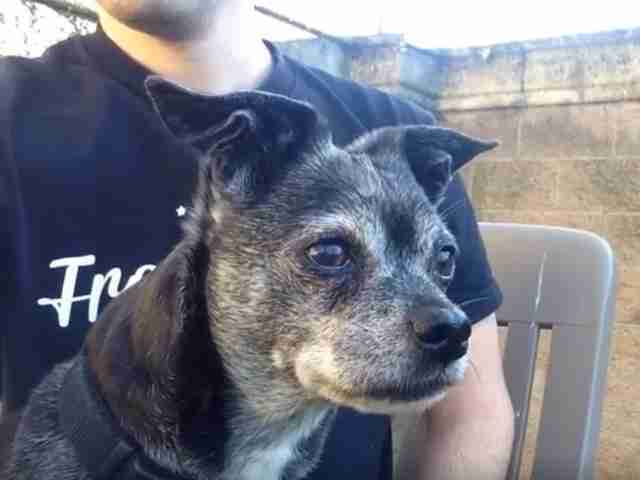 From there, the 12-year-old Chihuahua mix, named Sir Blacky, began a sad stint at the Front Street Animal Shelter in Sacramento, California. 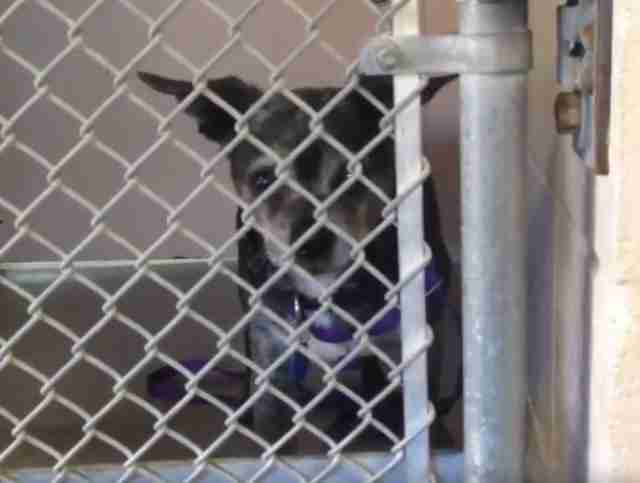 Suddenly, a beloved friend seemed little more than another senior dog at a shelter - one of countless animals looking for a home for the holidays. Only Sir Blacky's story was just beginning. Moved by Sir Blacky's plight, animal rescue volunteers posted about his situation on Facebook. In mere hours, the post was shared more than 20,000 times. And not long after that - after a single night without a home - shelter manager Gina Knepp made an unexpected announcement. "He's out the door," she told The Dodo. "A lovely woman is fostering him." Indeed, the foster, Donna Ortiz, confirmed to The Dodo that "he is actually sitting here in my office." 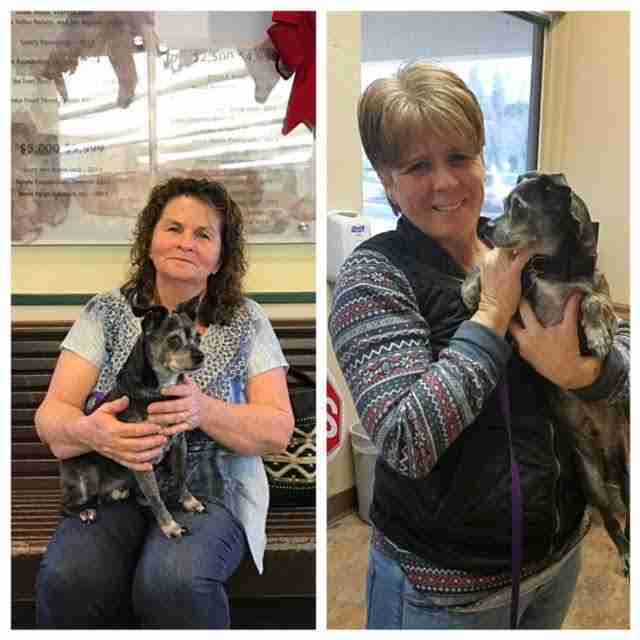 While Sir Blacky has been formally adopted, Ortiz is still calling it a foster. 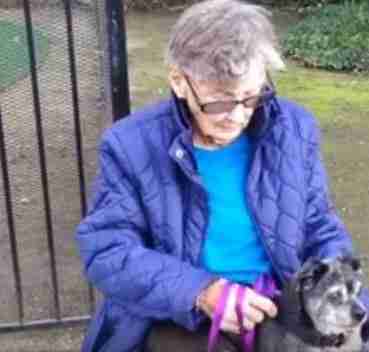 You see, Ortiz and the two friends who spotted the Facebook post plan to reunite the dog with his elderly owner. "It sounds like she's just going to the nursing home to rehabilitate," Ortiz says. "My thing would be, if it's possible, to reunite her with him." And so this dog and his lifelong friend may actually see a double happy ending. But in any case, his former owner will have this peace of mind. Sir Blacky isn't just going to live out his days surrounded by love, but also bring more joy to the hearts of so many others - like the knight in furry armor Sir Blacky was raised to be. Ortiz and her friends are longtime volunteers at the California branch of the Easter Seals - an organization that offers day care programs for seniors, adults and people with disabilities. "Sir Blacky will go to work every day," Knepps says. "And it is their hope that they will be able to reunite with Sir Blacky's owner once she has recovered." This old dog's heart may be sore. But it couldn't be in better hands - the kind of hands that are used to helping people in need. If you would like to help dogs like Blacky find a home, consider supporting the Front Street Shelter here. You can also take home a pet for the holidays at Adopt-a-Pet.com.